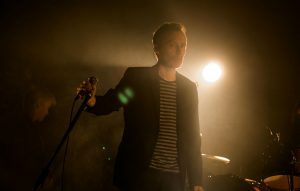 The Jesus & Mary Chain‘s Jim Reid has spoken out to slam the state of modern guitar music. The Scottish shoegaze veterans are currently gearing up to release their first album in 18 years with ‘Damage & Joy‘ dropping on 23 March. However, the band argue in the time that they’ve been away, rock and guitar music has seen a sharp decline. “There’s not much of guitar music left at the moment, I don’t hear many guitar bands out there,” frontman Jim Reid told NME. “It’s kinda pushed underground, guitar music seems to be limping at the moment. Speaking of how they came back to make a new album together, Reid told NME: “The idea of doing a new record has been knocking about for a bit now. We got back together in 2007 and it was talked about then – we kinda bickered, William and I, about how to record it and where to record it, and that kinda dragged on a bit. The Jesus & Mary Chain’s upcoming UK are Ireland tour dates are below. The post The Jesus & Mary Chain slam ‘limping’ state of modern guitar music appeared first on NME.